And it’s not difficult – all Justin Bieber had to do was talk a walk on the beach followed by two fully clothed bodyguards. Of course his midriff top and red pants perfectly displayed his new tattoos. (Note the Calvins peeking out.) Dozens of people started following him on the sand like the Pied Piper. Sometimes Justin wants to be left alone, and sometimes he obviously DOESN’T. Any time we have the opportunity to publish a photo of Jason Momoa, we do so. He is exceedingly photogenic. In person, he is even more devastating and bigger than life. 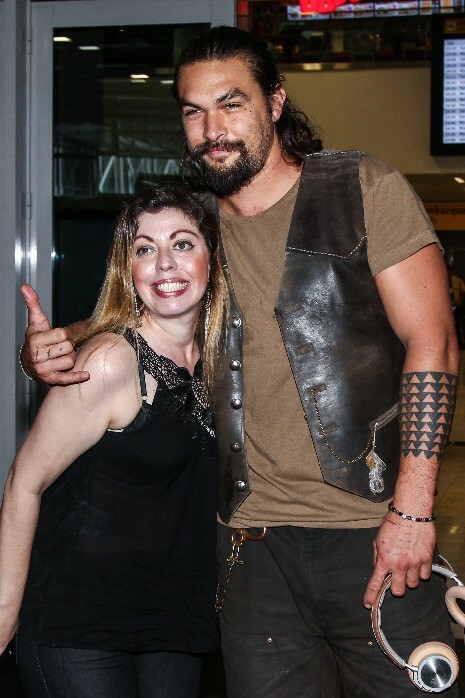 Game of Thrones is a huge hit in Brazil so he flew to Sao Paolo for the Comic-Con event there. Fans at the airport immediately started chasing after him and begging for photos. He good-naturedly obliged, indicating he’s not as fierce as he looks. HEY RIHANNA, WHAT HAPPENED TO DRAKE? 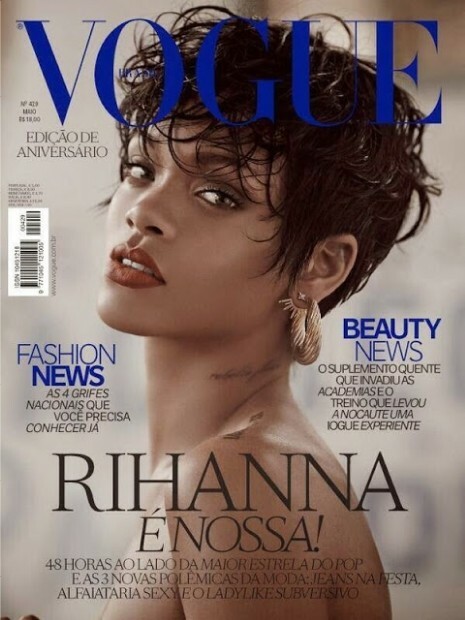 No complaints about Rihanna appearing on a Vogue cover – in two dazzling versions! But what WE want to know is: What’s going on with Drake? For awhile it looked like Rihanna and Drake were evolving into a bigtime romance. They spent quality time together in Europe but haven’t been seen together lately. We do think Drake would be an ideal partner for Rihanna – he’s got talent, looks, brains, and better manners than most of the guys she sees. Jennifer Lopez, 44, looks hotter than hot as she swivels and sings her World Cup video song “We Are One” in Florida. The theme of the video is the Brazilian Carnival and she’s performing the song live at the 2014 World Cup opening ceremony in Sao Paolo, Brazil in June. Jennifer’s pal Pitbull and Brazilian singer Claudia Leitte will also perform in the video and at the live ceremony. 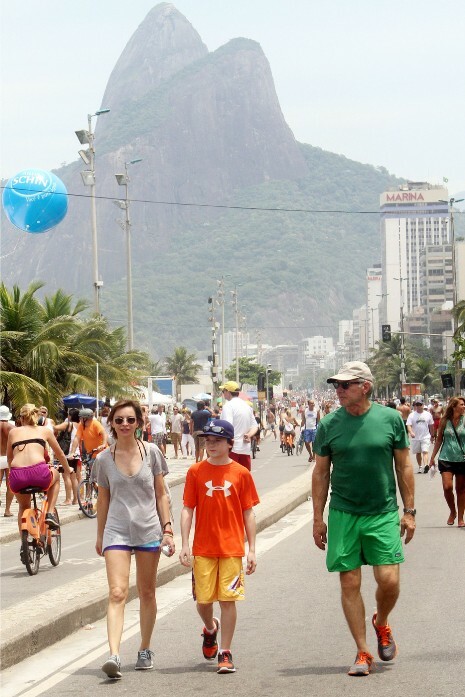 No sooner did rumors start spreading that Harrison Ford might return to play Han Solo in Star Wars: Episode VII, than he flew his family off to Brazil for Carnival. Harrison, 70, and his wife Calista Flockhart, 48, and their son Liam, 12, vacationed looking pretty much like any other American family. He looks happy about getting a bundle of money for Star Wars – the deal is still being negotiated and the catch is that Harrison wants his character to DIE in the new film. Appearing on the cover of Vogue magazine can definitely give a girl an edge. And Sharon Stone, 54, made the most of it when she celebrated her cover at a Vogue party in Brazil. She zeroed in on Argentinian model Martin Mica, who happens to be 27 years younger, and turned on the charm. An hour after they met, Sharon was seen taking him back to her hotel. (This was the talk of the Brazilian gossip columns.) And it wasn’t a one night stand. He followed her back to California and they were observed smooching playfully and snuggling on the sand on Venice Beach this week. Madonna and the boyfriend she DIDN’T break up with, Jesus Luz, are very cozy in Brazil while she’s getting charity work done. Madonna supports poor children’s charities in Brazil but you can bet Kabbalah is heavily involved. Certainly red strings go along with the financial help. Above, Madonna and Jesus and Mercy are traveling with a big entourage on a sightseeing outing.